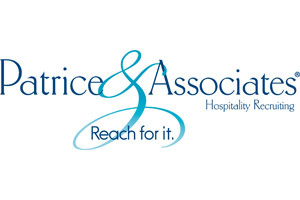 Patrice & Associates is the nation’s leading Hospitality Recruiting Firm. Our franchisees and their recruiters are committed to placing the right candidate by deploying a very aggressive approach to finding top talent. Our Client Companies pay us to find the best employee match. Parent Company: Patrice & Associates is owned by Patrice Rice and has been in business for over 23 years. Brand Strength: Patrice & Associates is not only the largest Hospitality Recruiting Firm, it is also the ONLY WBENC certified Hospitality Recruiting agency. Patrice Rice has been recognized as an expert in the Hospitality job market. She has been quoted in publications such as Forbes, The Washington Post, The New York Times, HR Executive and QSR Magazine. She has also been interviewed on television with FOX 35 Orlando and Washington Business Tonight discussing hospitality employment. Work from Home – Focused on building relationships, accounts and placing candidates. Brick and Mortar- For those who plan to create an office of Recruiters and Accounts Managers.